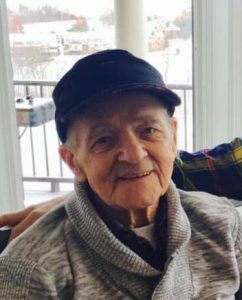 Leonard E. Kutzko, 92, of Center Twp., passed away on Wednesday, April 10, 2019 in Rochester Manor and Villa. He was born in Houtzdale, PA on July 20, 1926 the son of the late Susan and Michael Kutzko. He was the original owner and operator at Leonard’s Auto Repair in Monaca. He was a US Army veteran serving during WWII. He enjoyed camping, reading and traveling with his wife to many of the US National Parks. He also enjoyed volunteering as a ranger at the Flagler Beach State Park in Florida. In addition to his parents, he was preceded in death by a grandson, Benjamin Druzak; two great grandsons: Macon Bittner and Peter Talon Kutzko; and his 6 siblings. He is survived by his wife of 67 years: Bernice Kutzko; three children: Leonard & Mary Kutzko, Center Twp. ; Dr. Lee Ann Ranieri, Scottsdale, AZ; and Cheri & Jeffrey Druzak, Nevillewood; 8 grandchildren: Jacy Kutzko Bittner, Cody Kutzko, John Ranieri, Lisa Preetz, Joshua Druzak, Monika Giza, and Izabela and Daniel Druzak; 11 Great grandchildren: Camden, Gus, & Archie Bittner; Elizabeth & Maxwell Ranieri, Leo Preetz, Brooke, Noah, & Jace Druzak; and Michelle & Julie Giza.